Professional bare conductor wire manufacturer from China, Meet your kinds of requirement bare conductor wire, With over 30 years production experience and 15 years export experience, factory price without any third party. Can be customized your ideal size and on-time delivery. Bare Conductor Main include AAC,AAAC,ACSR,AACSR,GSW,ACS etc. Alum Steel Total Alum. Steel Core Cond. Alum. Steel Total Alum. Steel Core Con. Transmission line conductor is a kind of basic production of cable, which are a naked conductor without any insulation or cover. It mainly apply to power, transportation, telecom engineering and electrical Engineering and so on. Bare conductor may be a good choice for you, because of its widely application. Now I will tell more about transmission conductor. Because the bare conductor wire doesn’t have the insulation, any jacket or sheath, the overhead conductor has many advantages. For example, expect of the insulation weight, the transmission line conductor is very light. There is no cover around the conductor, so the bare conductor can cool fast when it get heat. Meanwhile, the manufacturing process is very simple, it contribute to the low cost. So the price of the transmission conductor is low. 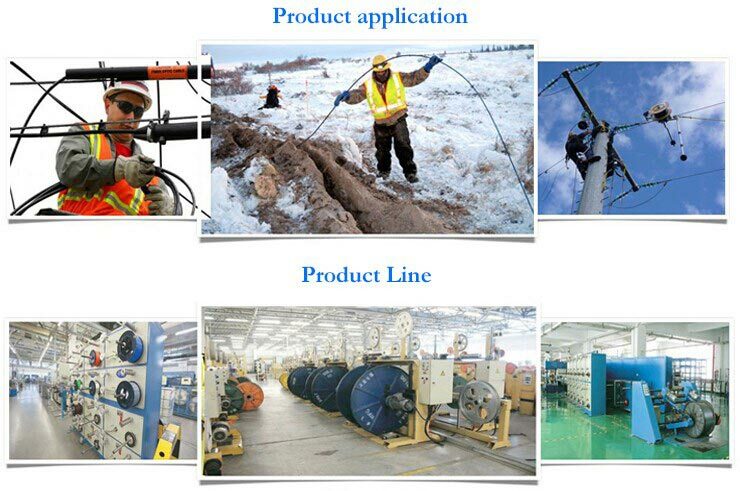 Huadong Cable Group has over 30 years of producing experience, so we have mature experience and can customized. Leave your requirement, we will contact you within 12 hours. What’s main bare conductor wire? Overhead line conductor and technical specifications are diversify. According to the overhead conductor material, it can divide into as follow: All Aluminum Conductor(AAC), Aluminum Conductor Steel Reinforced(ACSR), All Aluminum Alloy Conductor(AAAC), Anti-corrosion Aluminum Conductor Steel Reinforced, Aluminum Alloy Conductor Steel Reinforced(AACSR), Aluminum Conductor Aluminum Alloy Reinforced(ACAR), Aluminum Conductor Aluminum Clad Steel Reinforced(ACSR/AW), All Steel Stranded Conductor and Aluminum Clad Steel Conductor. Among these transmission line conductor, AAC,AAAC and ACSR are the main product. Huadong cable is a famous conductor manufacturers in China, and we also have 15 years of export experience. We can provide you the most professional bear conduct and service, so choose us is the best choice. How about the market of transmission conductor? Where can you get the best bare conductor wire with low price? The simple producing process and huge demand market makes overhead conduct more popular. So many manufacturers compete, the price compete is the most common. You must be careful of these manufacturers. If conductor manufacturers provide very low price, it may exit some problem. Because competition makes the transmission line conductor price get low. A very low price can contribute the company at a loss. As we all now, company is aim at the profit, so they couldn’t be at a loss. There are many process can cut the cost, but it may influence the transmission conductor. So when you choose the bare conductor wire, the price is important, but it is not the most important, and the quality is. As the saying “ To see is to believe”. You can visit our factory yourself, and we believe you will have a judge. How about the huadong overhead conductor? In the overhead line conductor catalogue, Huadong cable group is a very famous conductors manufacturers in China. The plant established in the 1988, covering 58000 square meters. This year, we found our new factory. The first phase has been finished, and get producing transmission line conductor. The other project will start in line. A new plant means a new start, it means a great progress. So if you choose huadong bare conductor, you needn’t worry about the delivery date. We can finish producing and delivery on time. Huadong Cable Group owns 15 years of export experience. We export to many countries in the Middle Est, Africa, Asia Oceania, South America, North America and so on. You can visit our factory to see our factory or get the free sample: sales@hdcoverheadconductor.com.